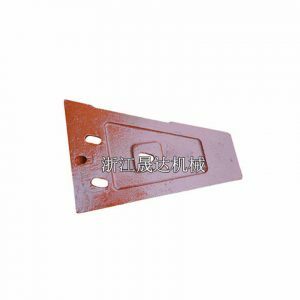 (1)Wear Casting Parts.Cheek Plate,Movable Jaw Plate,Fixed Jaw Plate,Toggle Jaw Plate, Adjust Wedge, Wedge Plate. All these parts are wear parts, which need exchange very often.Except for toggle plate, the others are manufactured by high manganese steel. (2) Mechanical Parts. Eccentric Shaft, Balance Plate, Fly Wheel, Crusher Frame, Fixed Jaw Plate Shim, Retraction Spring, Groove Block and so on.. These parts do not need exchange very often. (1)Wear Casting Parts. Cone Liner and Bowl Liner. 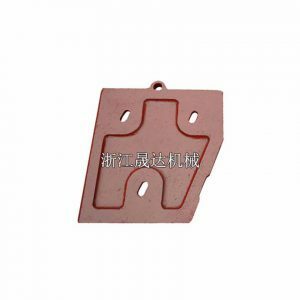 There are the regular replacement parts ,which also manufactured by high manganese,mn14,mn18 and mn22. (2)Mechanical Parts. There are more mechanical parts than other types. Tramp Release Assembly, Eccentric Bushing, Main Frame, Main Frame Bushing, Feed Bowl Hopper, Gear And Pinion, Counter shaft, Kinds of Bolt, Adjustment Ring ,Dust Seal Ring and so on. (1)Wear Casting Parts. 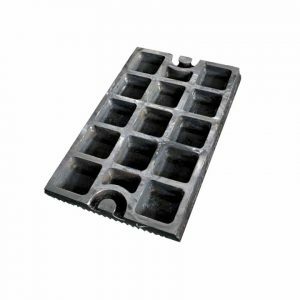 Blow bars and replaceable wear liners, which are manufactured by high chrome and need exchange regularly. (2)Mechanical Parts. Rotor, Discharge Opening, Hydraulically Operated Crusher Service Door, Impact Curtain Adjusting Rods and so on. Zhejiang Shengda Machinery Co.,Ltd is located in Jinhua, Zhejiang, China and established in 1993. Our company specialized in the manufacturer of crusher wear parts, such as jaw crusher wear parts, cone crusher wear parts, impact crusher wear parts, hammer crusher wear parts. We would like to persist in innovation and high quality. Strict work with the standard of ISO9001:2008. And constantly improve the management level. Closely around Carbon steel, alloy steel and ductile iron, gray iron in the procution. Welcome your respect customers come and cooperate with us.